It started with Jayme Soulati, then with Gini Dietrich and then with Michèle Simpson. I also saw Jason Konopinski and Hajra Kvetches share their list. What about you? 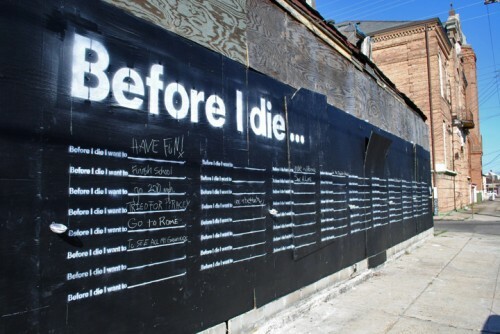 What do you want to do before you die? This entry was posted in Public Relations and tagged before i die by Kristine D'Arbelles. Bookmark the permalink. I so love this inspiration being carried forth to peeps I’ve now had the pleasure of meeting! Thank you so very much for pushing this forward! Your list is classic; following the pathway of we others in learning, travel and love. Thanks, Kristine! Great list btw….I can see you doing all these things too! You have a lot of companies to start. Better get going!